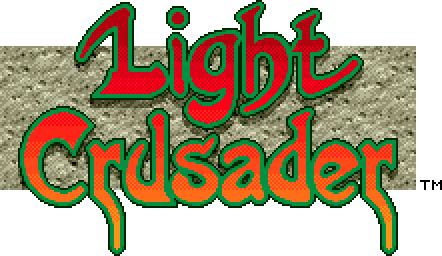 Light Crusader is an Action RPG for the Sega Genesis developed by Treasure in 1995 and published by Sega. I'm actually getting feedback about this shrine. That surprises me because I didn't think anyone would check this thing out before it was finished. Either way, your voices have been heard and I made some corrections to the Secrets page (I left out the free Green Potion). I'm going to try to put more work into this thing soon. I'd like to thank Luke for helping me out with that. I will be relocating this thanks to the Credits page once it is finished. A few enemies of the first floor have been added to the Enemy page. The page is not viewable yet, but I'm working on it. May 30th, 2015: Shrine Created! I needed a new project in my life, so I took it upon myself to create a shrine to Light Crusader, a game I know very well as it is near and dear to my heart. It will be awhile before a lot of content is up and running on the site but I promise I'm working on it. Don't hesitate to contact me if you find an error/mistake!